A new poster for Robert Rodriguez’s sequel to Machete, Machete Kills, has arrived. 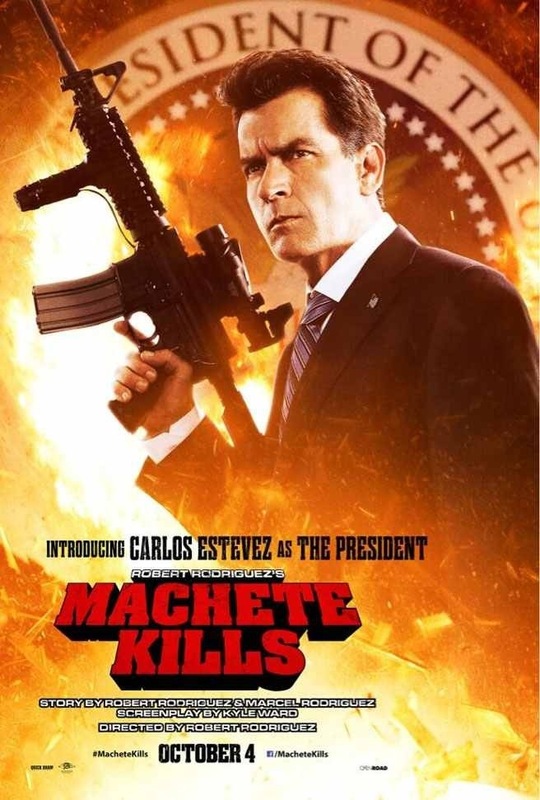 The one and only Charlie Sheen will be playing the president. Pretty sick if you ask me. They even have his REAL name Carlos Estevez on the poster. Machete Kills will be released October 4th, 2013.